Horses should have regular preventive dental maintenance every six months to one year- depending on the horse. 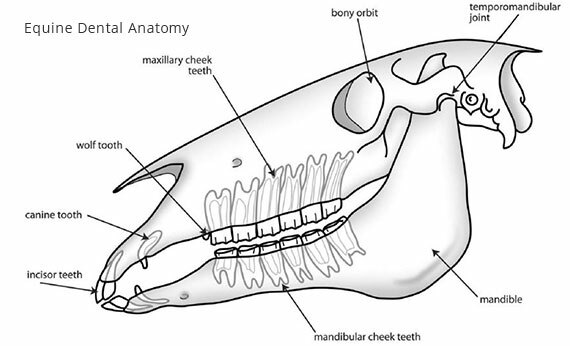 Unlike people, horses' teeth have an eruption rate of two - three mm per year. The teeth should wear in correspondence to yearly eruption rate. Malocclusions, or improper position of the teeth, can lead to many health issues and behavioural problems. Equine Dental Floating from WDDC on Vimeo. Identifying dental problems as early as possible is important! Some horses may not show noticeable signs, because they just simply adapt to their discomfort.